The Health Secretary and MSP for Glasgow Govan will get married to SNP chief executive Peter Murrell. 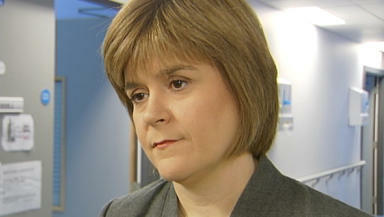 Deputy First Minister Nicola Sturgeon is to get married to SNP chief executive Peter Murrell. The couple are expected to hold a small, family civil service and a reception for friends and colleagues in Glasgow in July. Ms Sturgeon, 39, and Mr Murrell, 45, have been together since 2003. In a statement, released by their party, they said: "We are very happy to be getting married and are very much looking forward to celebrating the occasion with family and friends this summer." The couple, who live together in Glasgow, got engaged recently. First Minister Alex Salmond congratulated them. He said: "I am delighted for Nicola and Peter and wish them the very best for what I am sure will be a wonderful future together. "The whole of the SNP and Nicola's colleagues in Holyrood and in the Government will join me in congratulating them on this fantastic news."